The screening of an introductory movie “FIND JAPAN” started. 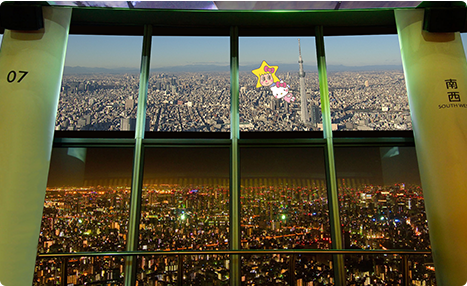 To encourage visitors to be more interested in Japan, SKYTREE ROUND THEATER® offers the screening of an introductory movie “FIND JAPAN.” In this short movie , Hello Kitty and Sorakara-chan, the SKYTREE’s official character, enjoy a trip and introduce Japanese culture and popular seasonal tourist destinations in Japan. TOKYO SKYTREE promoting Japanese culture The screening of an introductory movie “FIND JAPAN” started. 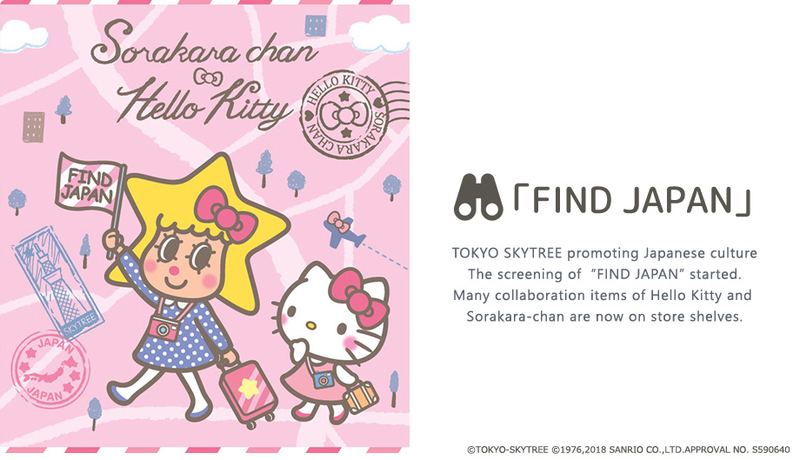 Many collaboration items of Hello Kitty and Sorakara-chan are now on store shelves. SKYTREE ROUND THEATER® is a new type of projection mapping entertainment show with the backdrop of the night view from the observation deck. Using the glass window with a width of approx. 110 meters and a height of about two meters as a large-sized screen, the show entertains visitors with realistic surround sound from 18 speakers and dynamic images produced by 34 projectors. Screening schedule is subject to change or cancellation for certain reasons. Please visit our website for details on screening schedule.